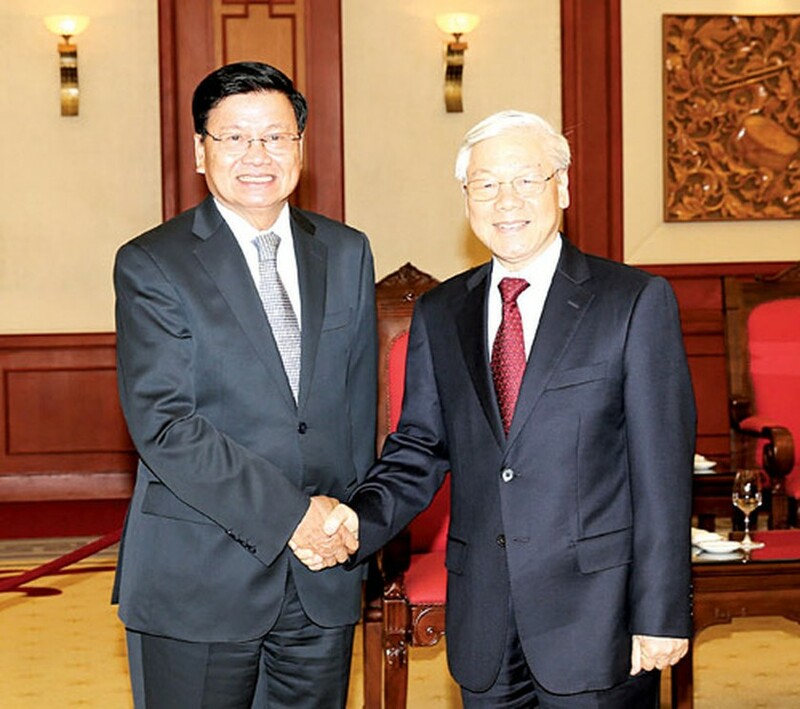 General Secretary of the Communist Party of Vietnam Nguyen Phu Trong yesterday met Lao Prime Minister (PM) in Hanoi as he arrived in Vietnam to attend in the 39th meeting of the Vietnam – Laos Intergovernmental Committee. The Laotian leader expressed his pleasure at attending in the 39th meeting of the Vietnam – Laos Intergovernmental Committee on the first days of the lunar New Year. PM Thongloun Sisoulith congratulated outstanding achievements of the neighboring country in previous time, and believed that the people and nation will continue getting new achievements for the country’s innovation and success of the 12th National Congress of the Communist Party of Vietnam under a leadership of the Communist Party of Vietnam. Additionally, he thanked to timely, effective and active assistances of Vietnam in previous years. At the reception, the Laotian leader announced about the content preparation for the 39th meeting of the Vietnam – Laos Intergovernmental Committee strongly affirming that Lao government will closely collaborate with Vietnamese government, ministries, departments and localities in effective implementation of high- level agreements between high ranking leaders of the two parties to boost Vietnam – Laos collaborative ties in the upcoming time. For the Vietnamese side, Mr. Nguyen Phu Trong affirmed that Vietnam actively supported Laos in the country’s innovation, building and development. Mr. Trong believed that Laos will continue getting new achievements and good results under the leadership of PM Thongloun Sisoulith. 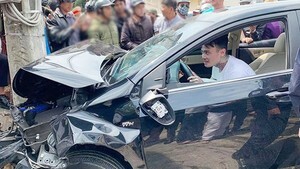 Besides that, he highly appreciated cooperation results between the two governments in previous years, and suggested the two countries’ ministries, departments, localities and enterprises should actively collaborate and effectively adopt Vietnam- Laos common statements and mutual cooperation agreements between high- level leaders of the two parities, nations. The two leaders expressed their pleasure for good solidarity and comprehensive cooperation of Vietnam and Laos; and strongly affirmed that the both sides will continue preserving, proving and educating for young generations about the good solidarity ties.